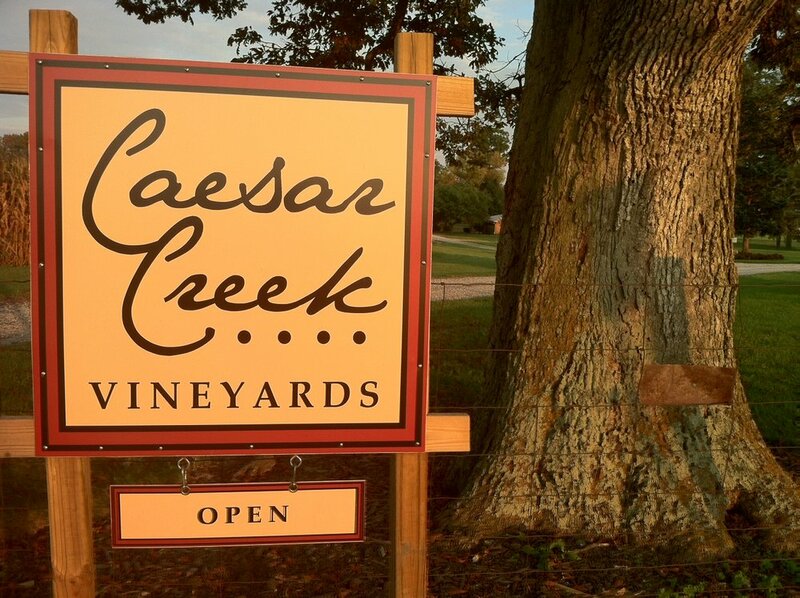 Caesar Creek Vineyards is a family owned farm and vineyard located on 200 acres in Xenia, Ohio. It was named after the creek that flows through the property, which was originally named after Caesar himself who is thought to have lived on the land. The vineyards have grown from an original 2.5 acres to now 10 acres with continuous test of new grapes for new types of wines. Feel free to bring a picnic (in conjunction with a purchase of wine), join us for special wine tastings or parties, or relax in our tasting room.